Chris is a Principal at Fontinalis, where he is responsible for a wide range of functions, including participating in the research, analysis, and evaluation of investment opportunities; assisting portfolio companies on financial and strategic analyses; and supporting Fontinalis’ operations and business strategy. 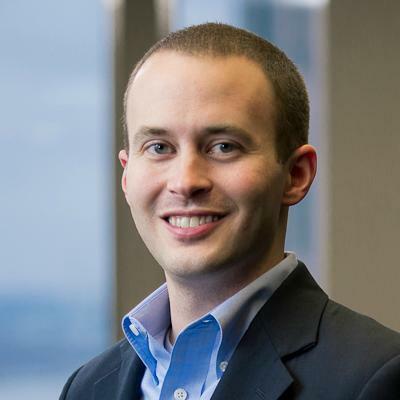 Prior to joining Fontinalis, Chris spent five years in the Valuation and Financial Opinions Group of Stout Risius Ross (SRR), a boutique advisory firm that provides valuation, investment banking, and dispute advisory services. During his time at SRR, Chris worked with a diverse array of companies (including numerous automotive suppliers and automotive technology companies) on transaction, tax, and financial reporting matters. Additionally, Chris specialized in advising private equity and venture capital clients, and played a critical role in furthering SRR’s relationships with this market segment. Chris currently serves as a Board Observer to three of Fontinalis’ portfolio companies: Nano-C, Synovia Solutions, and Zagster. Chris earned his Bachelor of Business Administration (with distinction) from the University of Michigan’s Ross School of Business, where he completed a comprehensive senior thesis on the concept of urban centers employing brand management techniques to promote economic activity. Chris also completed an internship in the alternative investments group of the University’s endowment, focusing on private equity, venture capital, oil & gas, and real estate partnerships. Chris has earned the right to use the Chartered Financial Analyst (CFA) designation, and is a member of the CFA Institute and the Michigan Venture Capital Association.